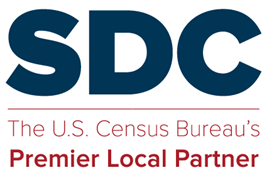 The SDC Progam assists the Census Bureau with activities that help to improve data quality, availability, access, and understanding. To this effort, there are certain programs that occur on an ongoing basis, while other activities may be ad hoc. The list below details some of these activities and deadlines as appropriate. The SDCs help with the Building Permits Survey (BPS) in two phases. The first phase occurs in the Fall when SDCs are asked to review of local government BPS contacts for their state and provide updated contact information. The second phase involves receive a list of BPS non-respondents in the Spring. The SDCs contact the non-respondents to explain the importance of these data and encourage them to complete the BPS. During this phase the SDCs can also collect the data and forward it on to the Census Bureau. SDCs help perform a follow-up with local governments that have not returned their BAS. The BAS is conducted annually to collect updated geographical boundaries. These boundaries are used to tabulate data for the decennial census, ACS, annual population estimates, and economic censuses. In March, the Geography Division will contact the SDC Leads and ask them to participate in the BAS follow-up. SDCs who participate will receive a list of non-respondents to contact and encourage them to return their completed BAS. During the follow-up the SDCs will also gather updated contact information for local governments. That information will be used for future BAS.